Home-grown innovation in the sphere of warehouse lighting has gone from strength to strength in 2014, with Tamlite Lighting, one of the UK’s leading manufacturers and designers of lighting, developing specialist solutions for demanding warehouse environments. The jewel in the crown is Tamlite’s MICRO LED batten, which was launched this year to provide the same glare-free light quality as the traditional fluorescent batten, but with the energy-efficiency and technological advances of LED. MICRO LED is a key example of this cutting-edge R&D. Designed and manufactured at Tamlite’s sites in the Midlands, the MICRO LED brings the traditional batten into the modern age, with high-performance LED technology that boasts a lifespan of 50,000 hours. What’s more, this is LED without compromise: the clever design of the MICRO LED provides precise optical control of the light distribution, which minimises the problem of glare. In 2014, Tamlite’s hugely-successful HILUX lighting range has also continued to evolve. 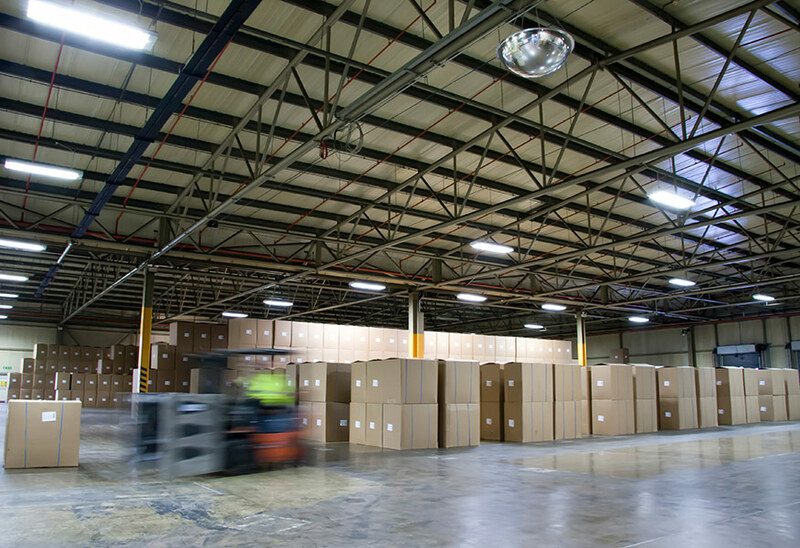 Designed to provide glare-free light in warehouses that use high racking, the third-generation fluorescent HILUX system has been joined by HILUX-LED, which incorporates Philips LED modules.